stone turnover machine turn 180° freedom of artificial quartz stone slab, The power of small, simple operation, improve the work efficiency of artificial quartz slab production line. 180° Turnover Machine is quartz stone slab turnover device! artificial quartz stone slab turnover machine is can separate the quartz plate and mold quickly, greatly enhance the working efficiency of the whole production line! 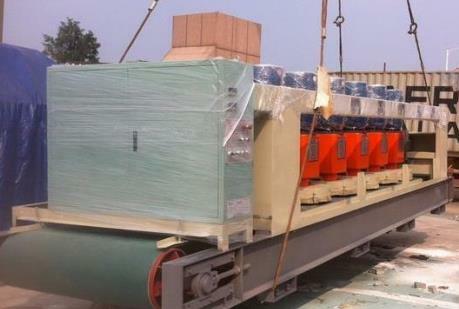 our stone turnover machine is be used more than 100 Artificial quartz slab production line. enough experience and high quality product making every one customers be richly rewarded .Dear! !you have any further information needed, please send us an inquiry with your requirement! 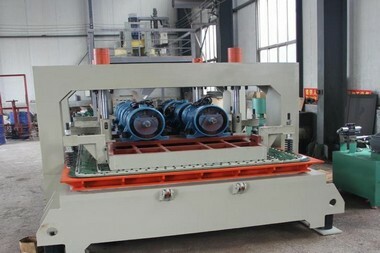 The 180° stone turnover machine dopt pneumatic pressure board, and fix the plate. 180-degree round turnover device, Transmission speed is adjustable, frequency conversion control. 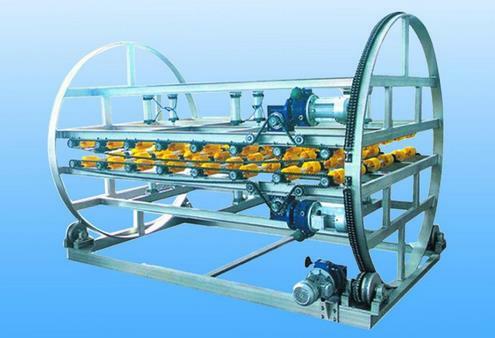 Adopt driving roller auto conveying plate, stepless frequency control trnasfer, power: 0.55Kw. Zinc coat water pipe to transfer slabs, center distance is 300mm, diameter of the water pipe is Φ90mm. Q: How about the quality of your artificial quartz stone turnover machine? A: Our stone turnover machine are manufactured strictly according to national and international standards, and we take a test on each equipment before delivery. The warranty period of our machines is one year, and we have a professional after-sale service team to promptly and thoroughly solve your problems. 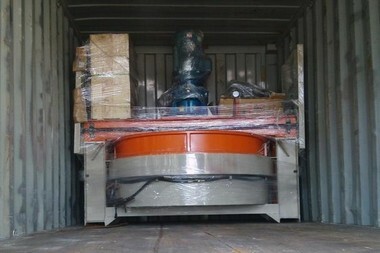 Q: How about this stone turnover machine price? A: We are 180° stone turnover machine manufactory, and we can give you lower price than those trade companies. we also provide you customized services according to clients' practical requirements,and it is free! Q: How to choose 180° stone turnover machine for my artificial quartz stone production line? A: for stone turnover machine, different Technical Parameters, the Capacity different,artificial quartz production line will provide you different yield and quality. so choose the machine is very important work! Tell us your processing demand, we will free design artificial quartz slab production line flow chart for you!